1. iFitness: $1.99 Provides an array of exercise videos, pictures and instructions which can be easily incorporated into your fitness plan. 2. Tap and Track-Calorie, Weight and Exercise Tracker: $3.99 Acts as a mobile food diary for those who want a more concrete picture of their food intake. It showcases 100,000 food items, foods from 404 restaurants and much more. 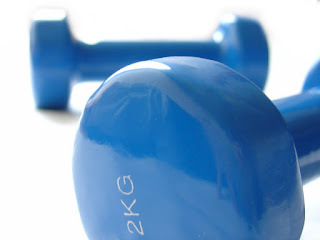 You can incorporate you exercise plan and calories burned against you weight goal. This is a straight forward, user friendly application. 3. Food Scanner: $0.99 A Nutrition Database which gives the nutritional profiles for many foods. 4. Restaurant Nutrition: Free Easily review nutrition values of restaurant menus. 5. Cookwell: $0.99 A meal planning tool which allows you to set a 7-day Meal Plan and put together a kitchen list and grocery list in advance. It also provides healthy tips. Great time saver and guide. Achieving greater fitness and health is easier than ever with these iphone applications and there are many more being created everyday. It's all about simplifying health and utilizing something which many already own as the tool for doing so. This can prove to be not only wise, but extremely effective as well.